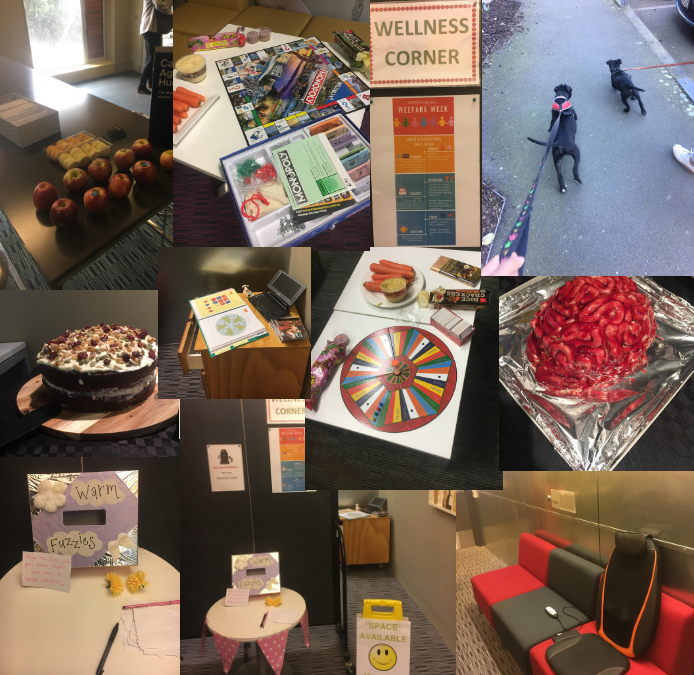 Welfare week was a great success this year – with daily events throughout the week to boost everyone’s spirits. Monday featured an assortment of board games and snacks in the common room. This was a hit during lunchtime and provided a cure to the old ‘Mondayitis’. On Tuesday evening, some of our very own meddies took the stage at Moon Bar’s ‘Open Mic Night’. There was a wonderful performance from our med school sweethearts Eden and Josiah, as well as beautiful Bridie and her support crew/flatties; Kirsty and Alex. On Wednesday, the lovely Maria Fitzmaurice from the department of Psychological medicine led a lunchtime yoga class. This was a great way for everyone to take a break from study and relax our bodies and minds. We ran a ‘Cake-off’ on Thursday lunchtime, judged by the one and only Dr Di! Congratulations to our winner – Patrick, for his delicious two-layered carrot cake. Special shout out to Abbey for her original and scarily realistic brain cake, complete with a crackable skull. Slices of cake were sold for a gold coin donation and resulted in WHPSA donating almost $200 to the Wellington Women’s Night Shelter. Friday lunchtime was definitely a highlight of the week, with some VIPs coming in to visit us – the puppies and bunnies from the SPCA! We topped off the week with a Rainbow Stein at Circus bar – themed to commemorate five years since the passing of the marriage equity bill. This was a super colourful and fun-filled evening! A huge thank you to all who helped organise Welfare Week – with particular thanks to our LGBQTIA rep Patrick, and our student counsellor Denise!